With the automation of the Expense Advance, productive hours used in generating a request and following up on the request is minimized. This is due to the fact that request origination, approval and accounting could be made on any Plant Workstation. 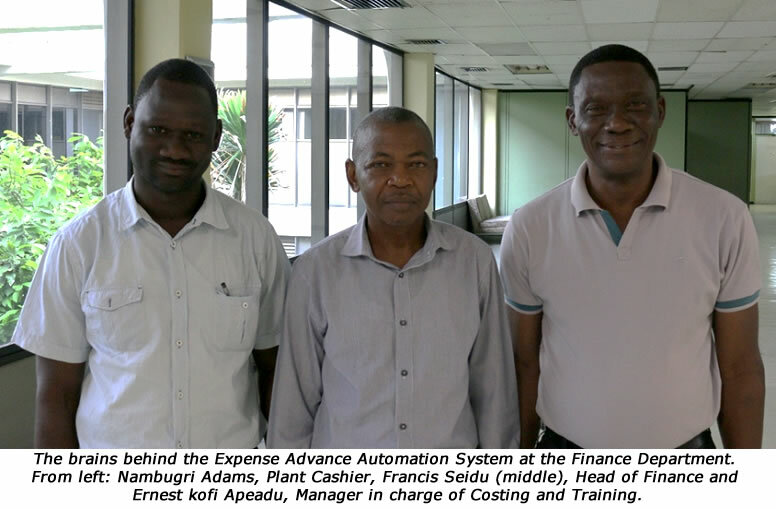 The automation has also tremendously cut down time for generating the JV and further helped reduce the time used to close our books at month-end. Bank currently provides the service at no cost to the company. Total cost savings to the Plant amount to $32 per month. Man hours that were spent to pay the bills are now channeled to more productive work. The system has tremendously cut down time used to review the books and helped further reduce the times used to close our books at month-end.